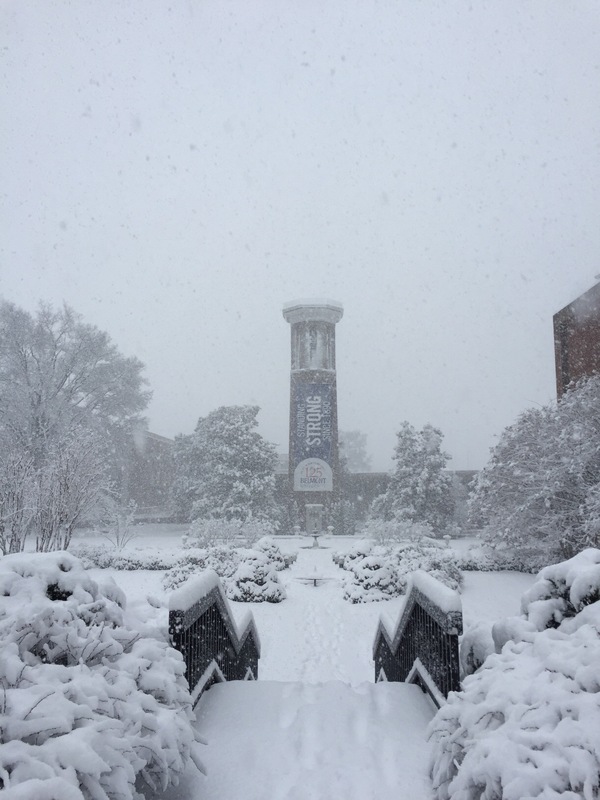 Given the forecast and deteriorating road conditions, all classes will be cancelled today, Friday, January 22, 2016, and scheduled campus activities will be postponed. Essential employees—those responsible for safety and welfare of on campus residents as well as campus visitors–should report to campus. Facilities Management Services will be working throughout the day to clear sidewalks and building entrances, but everyone on campus is encouraged to please be cautious and stay on the walkways that have been cleared. To report any issues encountered on campus today, please call Campus Security at 615-460-6617.